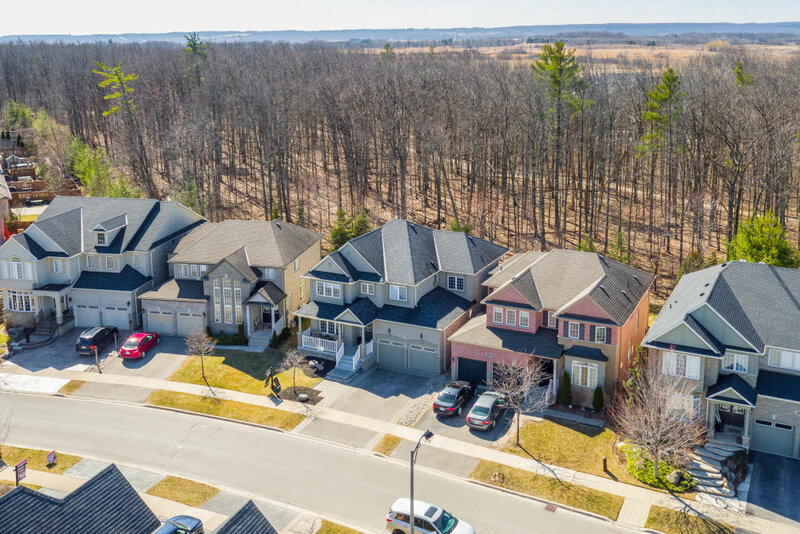 Spectacular family home backing onto heavily wooded ravine and 2400 acre provincial park featuring miles of walking, hiking and biking trails. Very private, pie shaped lot. Professionally landscaped gardens. Low maintenance rear yard featuring a large interlock stone patio area with custom arbor, gas fire pit, as well as a composite wood deck and covered rear porch with natural gas BBQ hookup, outdoor speakers and a custom artificial turf putting green to help master your short game. The interior of the home displays todays neutral decor. Featuring a beautiful custom white kitchen with 36" 6 burner Wolf gas stove, Miele dishwasher, stainless steel French door fridge/freezer, a dark stained centre island with breakfast bar, quartz counter tops, ceramic back splash, stainless steel farmers sink with bookshelves above and a spacious eat in breakfast area with large patio sliding door overlooking the rear yard and wooded forest. 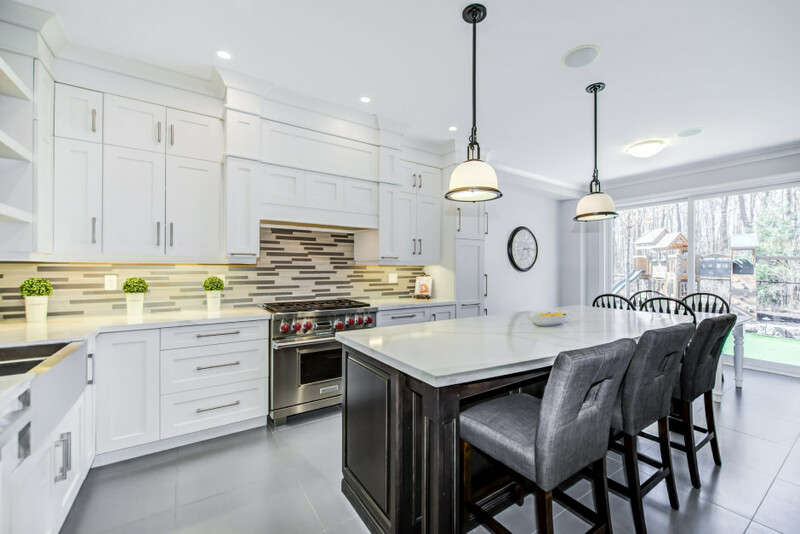 This wonderful family home also features oak hardwood floors throughout the main and upper levels, 9' ceilings, wood paneling and a built in sound system with speakers throughout the main level. The family/great room features a natural gas fireplace and access to the covered rear porch and deck area. 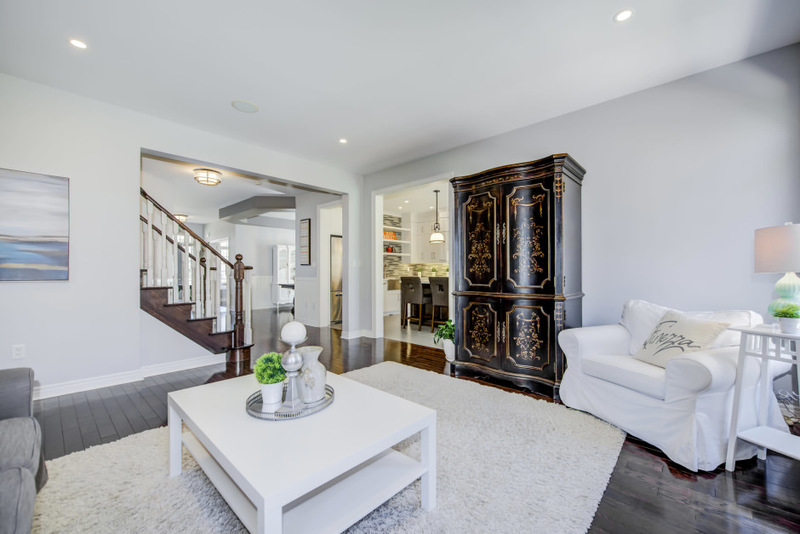 The main floor is also home to a formal living and dining room as well as a main floor office or kids play area and a mudroom with walk in closet and 2 piece powder room. The upper level features bedroom level laundry, a large master retreat with very spacious walk in closet, 5 piece bath with corner tub, his and her vanities, walk in shower and private water closet, as well as, a private covered balcony overlooking the rear gardens and wooded forest. 3 additional spacious bedrooms, a 4 piece main bath and upstairs reading/landing area finish off the second level. 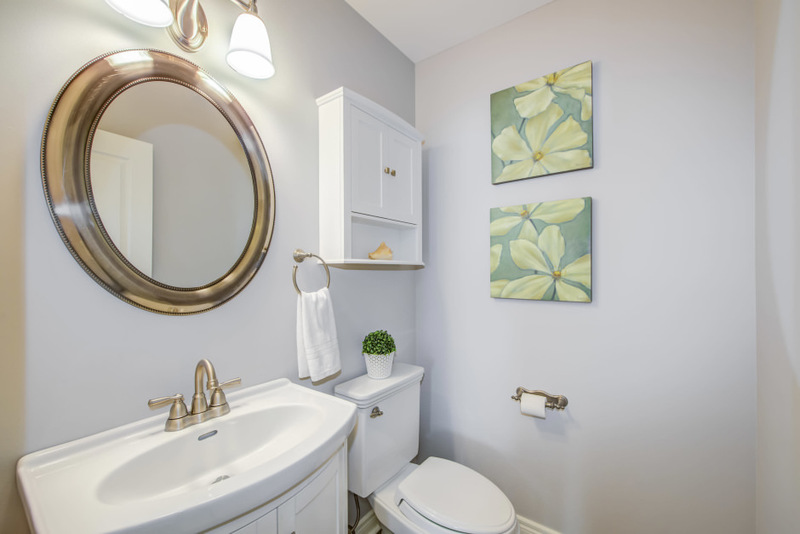 The lower level features a 3 piece rough in and is unspoiled awaiting your personal touches.